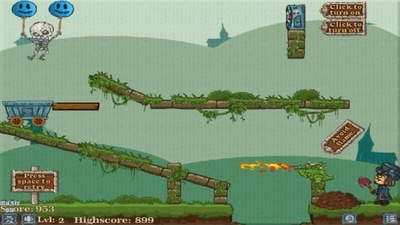 A complex puzzler that will appeal to Angry Birds fans. Bury My Bones is a comically morbid puzzle game where players must help a skeleton get to its burial plot. There are tons of different puzzles for players to navigate through. 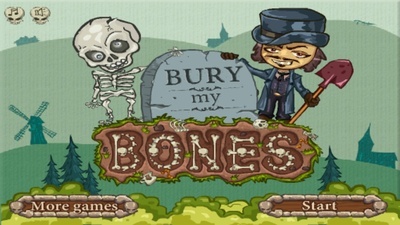 Bury My Bones gives players different items and tools to help accomplish each puzzle. A player’s major tools are balloons, spiky balls and mine carts. With these tools, a player can manipulate the skeleton until it is placed just right to fall into its burial plot. Once in the plot, the gravedigger can bury the bones. The physics in Bury My Bones are solid, and the domino effects of the puzzles are often fun to watch. Unfortunately, when players get stuck, the game doesn’t let them know, instead they must choose to reset the puzzle on their own. This often leaves players wondering if they are missing something, or if they are indeed, stuck. Some players may find this frustrating while other will see it as an added challenge. 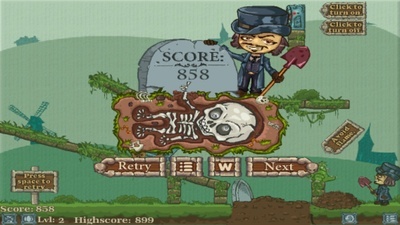 If you love puzzle games, then Bury My Bones is a must-try. 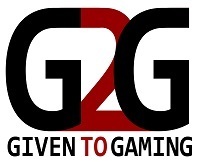 It is available through many flash game sites as well as for iOS and Android devices.